uninterrupted and long-range structural health monitoring. precision and usability – to provide an unprecedented level of knowledge about your structure’s state of health. In times where projects for energy, transportation and infrastructure reach unprecedented levels of complexity each year, structural monitoring during construction and operation has become as essential as switching on the light. 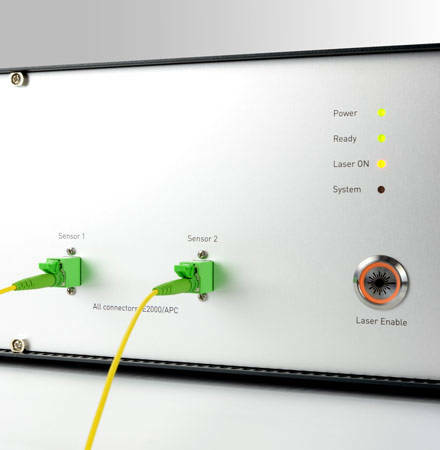 fibrisTerre stands for the latest generation of distributed strain and temperature sensing in optical fibers. At industry-leading accuracy, fibrisTerre’s all-digital Brillouin technology answers without compromises the demand for reliable monitoring of industrial assets. Subscribe to our newsletter to receive the latest developments about our products and services.